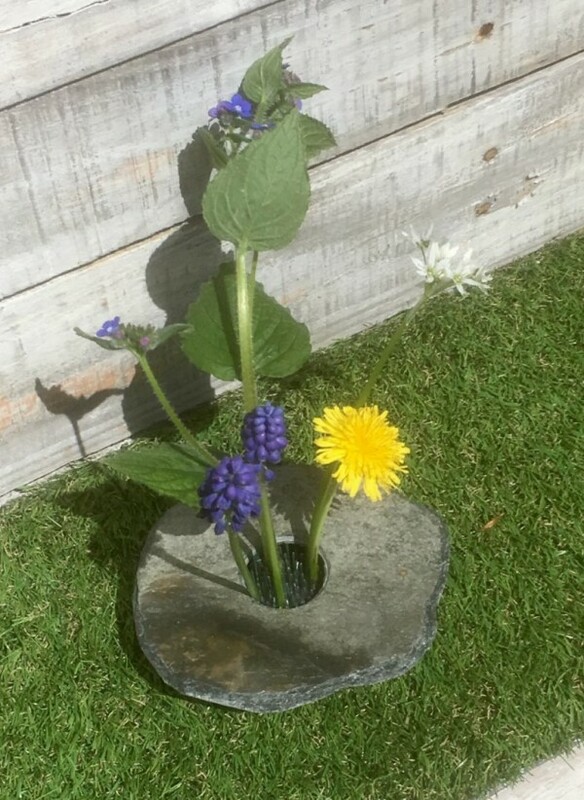 Our stylish Ikebana vases are handcrafted from Cornish and natural slate. 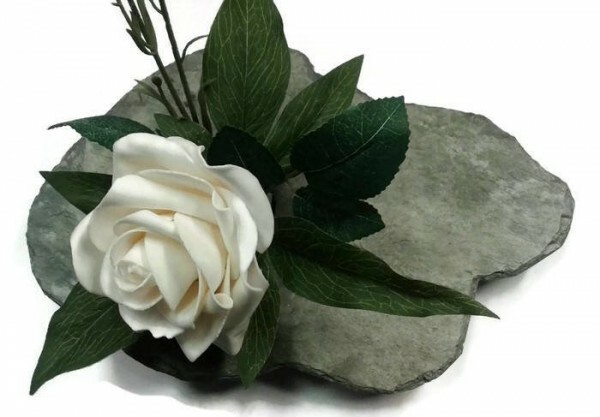 Cornish slate will always differ in colour. Ikebana is the art of arranging flowers. In Japanese "Ike" means to arrange and "bana" comes from the word "hana" meaning flower. 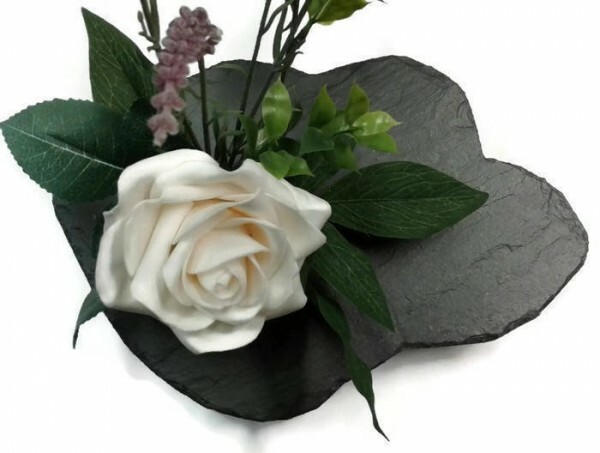 In Ikebana the flowers and branches are arranged so that they appear in a beautiful and simple way. A "Kenzan" is used to hold the flowers in place. 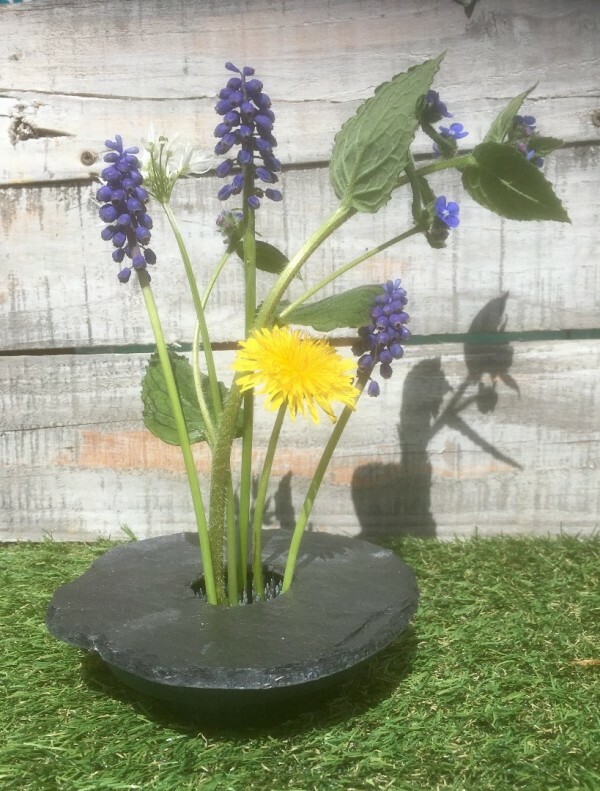 Simply pour water into the hole and the water is held in the plastic reservoir or alternatively you can use silk flowers.